Foldable Frisbee. Made from nylon and supplied in a pouch. As standard printed up to 4 spot colours to frisbee and pouch. 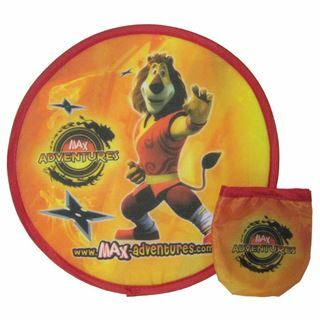 Colour matched frisbee, trim and pouch. Size: 24.5cm diameter when opened. Ideal item for summer promotions.